Casino Columbus is an online casino including mobile and live dealer games, established in 2018 using games powered by multiple software providers. It is operated by Avento N.V and is licensed under the jurisdiction of Curacao. Casino Columbus is a multi-platform online casino which welcomes players to enjoy a range of games from some of the biggest names in the industry. Members can play titles from the likes of NetEnt, Microgaming, NextGen Gaming, Play’n GO, Booming Games, Quickspin, Endorphina, and others. The site can be reached instantly through a web browser or on mobile and is available in several languages. Casino Columbus is licensed and regulated under the laws of Curacao. Unfortunately, there are some country restrictions here. These include players from Spain, Italy, France, Great Britain, Turkey, Germany, Hungary, Canada, Cyprus, Australia, and the United States. The full list of restricted countries is found using the drop-down menu on the right-hand side of the screen. Players who enjoy spinning some reels can enjoy plenty of video slots from the likes of Microgaming, NetEnt, NextGen Gaming, Play’n GO and others. 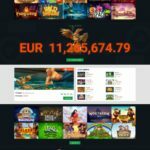 Games can easily be categorized by the provider to help players browse easier or members can use the in-built search engine to single out favorite games. Popular titles include the Starburst Slot, Sakura Fortune Slot, Thunderstruck 2 Slot, and Gonzo’s Quest Slot. The casino certainly isn’t short of table games either. In fact, members can enjoy a variety of games with variants of blackjack and roulette too. These include tables like French Roulette, Pirate 21 Blackjack, Baccarat and others. Members who prefer card games like video pokers can bet against other players with a wide range of games like Double Bonus Poker, All Aces Poker, and Deuces Wild. Other games include Scratchcards, Bingo, and Virtual Racing. Players who like to bet with live hosts can enjoy games around the clock hosted by both male and female dealers. Games include Live Roulette and Live Blackjack. Casino Columbus is also available on the go so members can pick up where they left off on their smartphone and tablet devices. Members who need assistance can use the casinos live chat facility which is available 24/7. Other forms of support include email and phone. The casino uses a high level of SSL encryption to ensure players personal and financial details are always kept secure. A random number generator is also used to make sure games are always fair and random.